AICO Dining Set Lavelle. The influence of French regal comes to life with unique wing shaped headboards and footboards, and scallop shaped pieces throughout the collection. A classic French look, with a chic twist depicting a hip, couture feel. Accenting pieces throughout the collection are genuine Swarovski crystals, which provide unique points of interest. 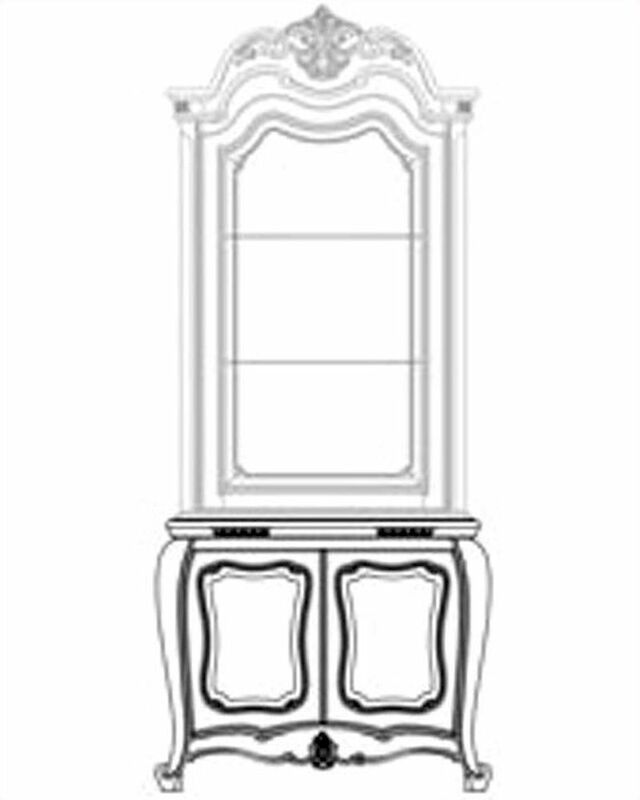 Door glass, mirrors, and hardware accented with genuine Swarovski crystals .